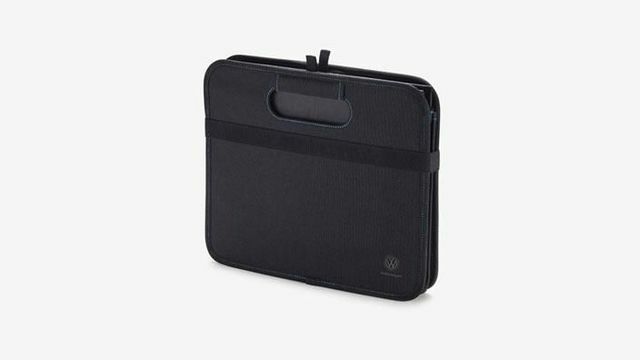 With a few quick hand movements, this universal fitment folding box goes from its compact shape to a convenient (Approximately L19"xW11"xH8") portable organizer and back to its compact shape for storage when not in use. Features sturdy fixed center divider and two fold down bottom panels. Made from easy to maintain tear-resistant material, the Volkswagen folding box includes blue contrasting stitching and 2 small parcel storage nets. 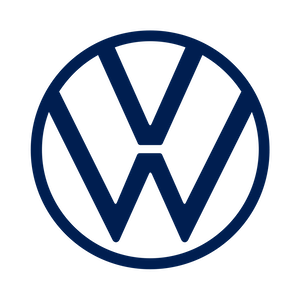 Note: The Volkswagen Collection Folding Box is covered by a 12-month Limited Warranty from the time of purchase. Keyword(s): Folding, box, groceries, trunk, transport, organize, organizer, storage, compact, collapsible.